February 22nd is slowly approaching, and if you have not saved up for a PS Vita, then shame on you. All you have to do is trade in 4 games worth $8 or more (on Xbox 360, PS3, Wii, 3DS, DS, PSP) to Gamestop Canada and each game will be bumped up to $25. If you aren’t sure which games will qualify for this offer, you can call your local EB Games/ Gamestop Canada directly or visit Tivs.ca. It may not be the most accurate site for trade in values but it will give you a pretty good idea. Also, they are currently running a promotion where any hardware you trade in (Xbox 360, PS3, PSP 3000, PSP GP, Wii, DS Lite, DSi, DSi XL, and 3DS) will automatically receive a $50 bump. 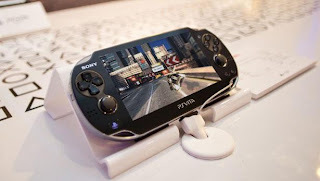 This means that you can trade in your old PSP 3000 towards the purchase of a Playstation Vita, or save the credit for some of the great games coming out next month. We highly recommend you trade in an old console such as a PSP, or DS because it truly is great value. Let us know if you will purchase a PS Vita from GameStop in the comments below!